FRESH 10.14oz glass bottles of Inca Kola from Peru with SUGAR!!! These have been bottled in and imported from Peru so these are the real deal, not a US version. 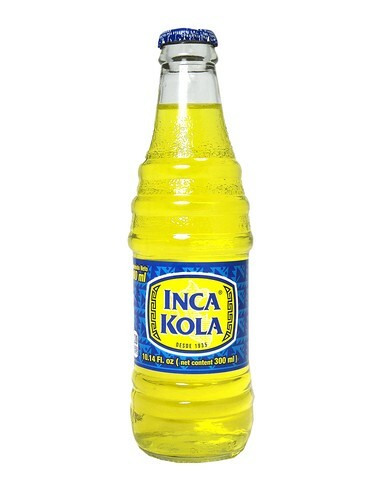 We also have regular Inca Kola in 2 Liter bottles and in 6 pack 12oz cans. Delicious drink for sure.....and I love the glass bottles!